Decided how much time you want to spend investing in the stock market? Decided on your stock market philosophy or approach? Picked a strategy you'll use for getting in and out of stock positions? Picked a technical indicator for reading price action? After you have answered the questions above, you'll need a way to find the best stocks to buy. In general, there are a few good ways to go about finding the best stocks to buy and none of them include listening to other people's opinions or recommendations. Over 10 years ago I thought one of the best ways to invest money would be to subscribe to a newsletter, buy the best stocks and watch my portfolio grow exponentially. Great idea, but it just wasn’t enough information to really succeed the way I wanted to succeed. I’ve also heard others say another way to find good stocks to buy is to pick up the Wall Street Journal and start investing in companies that sound interesting. That’s a great way to get started, but it’s just not enough to find good stocks to buy and be really successful. Use a stock market screener for fundamentals. – If you're a beginner learning how to invest in stocks to hold for the long term, a screener will help you sort out stocks. After you've picked your stock trading strategy, you'll have the fundamental criteria to plug into the screener to quickly narrow down your stock picking candidates. For example, are you looking for value, growth or income oriented stocks? Each one of those types of stock categories will have specific fundamental numbers that you will be using in your screener. Also, the more comprehensive the screener, the better, so you can narrow the group down the best stocks. Use a stock scanner for technicals. – If you're a technical, trend or momentum trader looking for stocks they you'll want a scanner for fining good stocks to buy that have set up properly. Your online broker should have technical scanner capabilities or if you subscribe to a stock charting program they should have a good scan program. Both sources should be easy to use and create the exact scans you want. 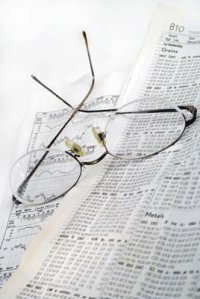 Stock Market Performance Lists - There are websites that give specific lists of stocks that already fit certain criteria. For example, there are sector lists, big gainer and 52-week high lists, stocks in a pattern, analyst ratings and more. You can find great candidates in these lists. After you plug in the criteria and get the list of candidates from a scanner or a screener, what do you do then? More than likely, there will be more candidates than you can buy. If you're using fundamentals, this is where technical analysis stock trading or using a technical indicator to help you understand the price movement can come into play and really help you make great buying decisions. After that there are even more ways to narrow the stock buying candidate list down for people who like technicals or fundamentals. b. Stock at a 52-week high. 2. Again, if you’re someone that is a strong fundamentalist, it may be time to learn more about reading stock charts or vice versa, if you're a technical trader, maybe you'll look to choose a stock with better fundamentals. b. Higher number of shares traded daily over a thinner number of shares traded. Action Step: Take the criteria you'll use based on your chosen stock trading strategy and practice using a scanner or screener to find candidates. Put the ones you've picked out into a Watch List. You can create a watch list on Yahoo Finance (if you have a Yahoo account - go to Finance/My Portfolios), Barchart.com or with your online stock brokerage account. What better place to find additional best stocks to buy than your own watch portfolio? You’ve already done the work to find the best candidates, but you can't buy them all. Keeping a watch portfolio of the extras makes it easy to check on their movement. Online trading brokers like TradeKing.com () offer personal watch portfolios. Additionally, after you’ve exited a stock position, especially if it was a healthy gainer, put it in a separate watch portfolio. Look for returning strength and a possible reentry point. Stock trading or investing is one of the best ways to invest money. No matter what your stock trading strategy is, the best stocks to buy can be found and earn you money on your investment. Ready to move on to Step 3. of developing a stock market system? Go to Reading Stock Market Trend. Or, are you ready to decide how much of your stock portfolio to invest? Return from How to Find the Best Stocks to Buy to Online Stock Trading Warrior Home. ... and low $4.95 commission fees! The best stocks to buy are the ones you find. One of the worst things you can do is listen to somebody else tell you what to buy. This is your hard-earned money, sometimes a large sum of money and your attention should be paid to it. It’s similar to the decision-making process when you decide to buy a big-ticket item like a home or car. You think about what you’d want or need those items to do for you and your family, you’d do research on those items, you’d look around at the various products, ask a Realtor or car salesperson to show them to you and finally, after spending a fair amount of time in process, you’d buy. What doesn’t happen is you give your money to Realtor or car salesperson and turn your back on the process. Remember, it’s your 2 cents.